"THUNDER ON THE MOUNTAIN" was recorded early in 2006 for 'Modern Times', released in August of 2006. The live debut of "THUNDER ON THE MOUNTAIN" in Seattle during the second night of the fall tour of 2006 was the third song from 'Modern Times' performed on stage. Altogether this song appeared in 28 of the 29 shows during that tour. During the fine European tour in the spring of 2007, and during the North American summer tour of 2007, "THUNDER ON THE MOUNTAIN" was performed in every show; and during the New Zealand and Australia tour in August 2007 "THUNDER ON THE MOUNTAIN" appeared also in all 12 shows. During the USA fall tour of 2007 "THUNDER ON THE MOUNTAIN" was performed all 30 shows. In 2008 "THUNDER ON THE MOUNTAIN" was performed fourteen times during the (mainly) Latin America tour in February and March; and another 77 times from May 2008 to November 2008. In 2009 "THUNDER ON THE MOUNTAIN" appeared in eighty shows, and in 2010 it was even performed more than 100 times. 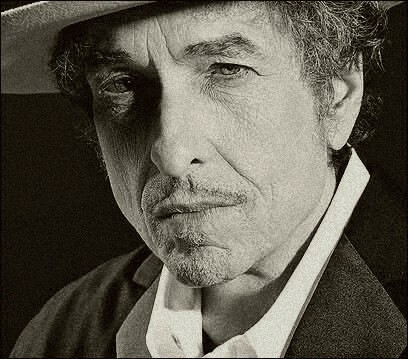 In 2011 Dylan chose to sing it on 83 occasions, and in 2012 he performed it 86 times. During the "static set list year" 2013 "THUNDER ON THE MOUNTAIN" appeared 22 times, 20 of which were in North America in the spring and the summer, and only two of which being perfomed during the European autumn tour (in Stockholm and in Rome). On the third new moon after the people of Israel had gone out of the land of Egypt, on that day they came into the wilderness of Sinai. They set out from Rephidim and came into the wilderness of Sinai, and they encamped in the wilderness. There Israel encamped before the mountain, while Moses went up to God. The Lord called to him out of the mountain, saying, “Thus you shall say to the house of Jacob, and tell the people of Israel: You yourselves have seen what I did to the Egyptians, and how I bore you on eagles' wings and brought you to myself. Now therefore, if you will indeed obey my voice and keep my covenant, you shall be my treasured possession among all peoples, for all the earth is mine; and you shall be to me a kingdom of priests and a holy nation. These are the words that you shall speak to the people of Israel.” So Moses came and called the elders of the people and set before them all these words that the Lord had commanded him. All the people answered together and said, “All that the Lord has spoken we will do.” And Moses reported the words of the people to the Lord. And the Lord said to Moses, “Behold, I am coming to you in a thick cloud, that the people may hear when I speak with you, and may also believe you forever.” When Moses told the words of the people to the Lord, the Lord said to Moses, “Go to the people and consecrate them today and tomorrow, and let them wash their garments and be ready for the third day. For on the third day the Lord will come down on Mount Sinai in the sight of all the people. And you shall set limits for the people all around, saying, ‘Take care not to go up into the mountain or touch the edge of it. Whoever touches the mountain shall be put to death. No hand shall touch him, but he shall be stoned or shot; whether beast or man, he shall not live.’ When the trumpet sounds a long blast, they shall come up to the mountain.” So Moses went down from the mountain to the people and consecrated the people; and they washed their garments. And he said to the people, “Be ready for the third day; do not go near a woman.” On the morning of the third day there were thunders and lightnings and a thick cloud on the mountain and a very loud trumpet blast, so that all the people in the camp trembled. Then Moses brought the people out of the camp to meet God, and they took their stand at the foot of the mountain. Now Mount Sinai was wrapped in smoke because the Lord had descended on it in fire. The smoke of it went up like the smoke of a kiln, and the whole mountain trembled greatly. And as the sound of the trumpet grew louder and louder, Moses spoke, and God answered him in thunder. The Lord came down on Mount Sinai, to the top of the mountain. And the Lord called Moses to the top of the mountain, and Moses went up. And the Lord said to Moses, “Go down and warn the people, lest they break through to the Lord to look and many of them perish. Also let the priests who come near to the Lord consecrate themselves, lest the Lord break out against them.” And Moses said to the Lord, “The people cannot come up to Mount Sinai, for you yourself warned us, saying, ‘Set limits around the mountain and consecrate it.’” And the Lord said to him, “Go down, and come up bringing Aaron with you. But do not let the priests and the people break through to come up to the Lord, lest he break out against them.” So Moses went down to the people and told them. And God spoke all these words, saying, “I am the Lord your God, who brought you out of the land of Egypt, out of the house of slavery. “You shall have no other gods before me. “You shall not make for yourself a carved image, or any likeness of anything that is in heaven above, or that is in the earth beneath, or that is in the water under the earth. You shall not bow down to them or serve them, for I the Lord your God am a jealous God, visiting the iniquity of the fathers on the children to the third and the fourth generation of those who hate me, but showing steadfast love to thousands of those who love me and keep my commandments. “You shall not take the name of the Lord your God in vain, for the Lord will not hold him guiltless who takes his name in vain. “Remember the Sabbath day, to keep it holy. Six days you shall labor, and do all your work, but the seventh day is a Sabbath to the Lord your God. On it you shall not do any work, you, or your son, or your daughter, your male servant, or your female servant, or your livestock, or the sojourner who is within your gates. For in six days the Lord made heaven and earth, the sea, and all that is in them, and rested the seventh day. Therefore the Lord blessed the Sabbath day and made it holy. “Honor your father and your mother, that your days may be long in the land that the Lord your God is giving you. “You shall not murder. “You shall not commit adultery. “You shall not steal. “You shall not bear false witness against your neighbor. “You shall not covet your neighbor's house; you shall not covet your neighbor's wife, or his male servant, or his female servant, or his ox, or his donkey, or anything that is your neighbor's.” Now when all the people saw the thunder and the flashes of lightning and the sound of the trumpet and the mountain smoking, the people were afraid and trembled, and they stood far off and said to Moses, “You speak to us, and we will listen; but do not let God speak to us, lest we die.” Moses said to the people, “Do not fear, for God has come to test you, that the fear of him may be before you, that you may not sin.” The people stood far off, while Moses drew near to the thick darkness where God was. King Belshazzar made a great feast for a thousand of his lords and drank wine in front of the thousand. Belshazzar, when he tasted the wine, commanded that the vessels of gold and of silver that Nebuchadnezzar his father had taken out of the temple in Jerusalem be brought, that the king and his lords, his wives, and his concubines might drink from them. Then they brought in the golden vessels that had been taken out of the temple, the house of God in Jerusalem, and the king and his lords, his wives, and his concubines drank from them. They drank wine and praised the gods of gold and silver, bronze, iron, wood, and stone. Immediately the fingers of a human hand appeared and wrote on the plaster of the wall of the king's palace, opposite the lampstand. And the king saw the hand as it wrote. Then the king's color changed, and his thoughts alarmed him; his limbs gave way, and his knees knocked together. The king called loudly to bring in the enchanters, the Chaldeans, and the astrologers. The king declared to the wise men of Babylon, “Whoever reads this writing, and shows me its interpretation, shall be clothed with purple and have a chain of gold around his neck and shall be the third ruler in the kingdom.” Then all the king's wise men came in, but they could not read the writing or make known to the king the interpretation. Then King Belshazzar was greatly alarmed, and his color changed, and his lords were perplexed. The queen, because of the words of the king and his lords, came into the banqueting hall, and the queen declared, “O king, live forever! Let not your thoughts alarm you or your color change. There is a man in your kingdom in whom is the spirit of the holy gods. In the days of your father, light and understanding and wisdom like the wisdom of the gods were found in him, and King Nebuchadnezzar, your father—your father the king—made him chief of the magicians, enchanters, Chaldeans, and astrologers, because an excellent spirit, knowledge, and understanding to interpret dreams, explain riddles, and solve problems were found in this Daniel, whom the king named Belteshazzar. Now let Daniel be called, and he will show the interpretation.” Then Daniel was brought in before the king. The king answered and said to Daniel, “You are that Daniel, one of the exiles of Judah, whom the king my father brought from Judah. I have heard of you that the spirit of the gods is in you, and that light and understanding and excellent wisdom are found in you. Now the wise men, the enchanters, have been brought in before me to read this writing and make known to me its interpretation, but they could not show the interpretation of the matter. But I have heard that you can give interpretations and solve problems. Now if you can read the writing and make known to me its interpretation, you shall be clothed with purple and have a chain of gold around your neck and shall be the third ruler in the kingdom.” Then Daniel answered and said before the king, “Let your gifts be for yourself, and give your rewards to another. Nevertheless, I will read the writing to the king and make known to him the interpretation. O king, the Most High God gave Nebuchadnezzar your father kingship and greatness and glory and majesty. And because of the greatness that he gave him, all peoples, nations, and languages trembled and feared before him. Whom he would, he killed, and whom he would, he kept alive; whom he would, he raised up, and whom he would, he humbled. But when his heart was lifted up and his spirit was hardened so that he dealt proudly, he was brought down from his kingly throne, and his glory was taken from him. He was driven from among the children of mankind, and his mind was made like that of a beast, and his dwelling was with the wild donkeys. He was fed grass like an ox, and his body was wet with the dew of heaven, until he knew that the Most High God rules the kingdom of mankind and sets over it whom he will. And you his son, Belshazzar, have not humbled your heart, though you knew all this, but you have lifted up yourself against the Lord of heaven. And the vessels of his house have been brought in before you, and you and your lords, your wives, and your concubines have drunk wine from them. And you have praised the gods of silver and gold, of bronze, iron, wood, and stone, which do not see or hear or know, but the God in whose hand is your breath, and whose are all your ways, you have not honored. “Then from his presence the hand was sent, and this writing was inscribed. And this is the writing that was inscribed: Mene, Mene, Tekel, and Parsin. This is the interpretation of the matter: Mene, God has numbered the days of your kingdom and brought it to an end; Tekel, you have been weighed in the balances and found wanting; Peres, your kingdom is divided and given to the Medes and Persians.” Then Belshazzar gave the command, and Daniel was clothed with purple, a chain of gold was put around his neck, and a proclamation was made about him, that he should be the third ruler in the kingdom. That very night Belshazzar the Chaldean king was killed. And Darius the Mede received the kingdom, being about sixty-two years old.